There are many possible causes of foraminal stenosis which may or may not enact pinched nerve symptoms throughout the anatomy. The neuroforamen are the spaces on the sides of the vertebrae through which the spinal nerve roots pass as they exit the spine. These openings are usually more than large enough to accommodate the safe passage of the nerve, but when a neuroforaminal stenosis condition exists, the space is markedly decreased, possibly sourcing pain, tingling, numbness or weakness in the area served by the affected nerve. 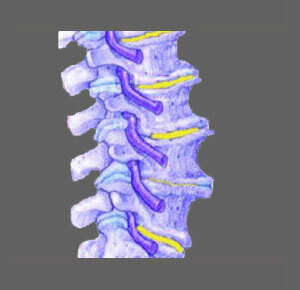 This discussion focuses on the causes of foraminal narrowing throughout the vertebral column. Normal or advanced osteoarthritic processes act on the foraminal spaces, typically narrowing them with age. This is particularly noticeable in the mid to low cervical spine and the lower lumbar spine. Herniated discs can bulge into the foraminal space, partially or completely sealing it off and possibly pinching the nerve. Abnormal spinal curvatures, such as lordosis, kyphosis and scoliosis, can all reduce the size of the neuroforamen. Vertebral misalignment issues, such as spondylolisthesis, can reduce the size of the foraminal openings. In many cases, the typical symptoms of foraminal stenosis exist, but the neuroforamen are deemed to be patent using spinal MRI testing. In some circumstances, there may be structural issues which are blamed for causing the pain by impinging on a nerve root within the lateral recess or enacting a central spinal stenosis condition. In many patients, this diagnosis turns out to be incorrect, while in others, it may be spot on. In some patients there are no recognizable causes for the pain, but the symptoms exist nonetheless. In either of these scenarios, and in cases where the foramen are circumstantially partially blocked, the actual source of pain and neurological irregularities may be regional ischemia. This is one of the most prevalent sources of chronic and unresponsive back and neck pain, but is rarely correctly recognized for what it truly is. Likewise, foraminal stenosis may exist and be blamed for causing nerve pain, like sciatica, when all along, the real source of symptoms may be some other nonspinal or even nonstructural condition, such as piriformis syndrome, diabetes, a disease process or a localized neurological injury. Like in many other back pain diagnosis, foraminal stenosis may be sourced by purely structural causes, purely nonstructural causes or a possible combination of both contributors. This can make diagnostic accuracy very difficult to achieve. 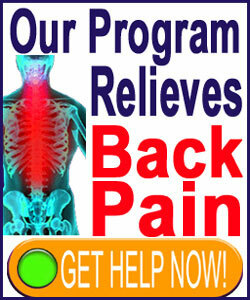 This fact is supported by the terrible curative statistics of most foraminal stenosis treatment options. In many situations, patients undergo surgery to correct the foraminal narrowing, only to realize that their pain has not improved or has actually been worsened by the operation. This is incredibly common. We always recommend that each patient who is diagnosed with foraminal stenosis seek multiple opinions on their case from different spinal neurologists, especially before acquiescing to any drastic treatment option, such as foraminal stenosis surgery.